Every month at Margaritas Restaurant, on the night of the full moon, a really big party is thrown and crazy things happen. Throughout the evening the lounge is piled high with giveaways, contests, flavorful specials, and lots of fun and excitement. You could win anything and everything—t-shirts, gift certificates, ski passes, skydiving and rafting trips, snowboards, and more! You have to see it to believe it! Even better, 5% of the evening’s gross lounge sales are donated to a local charity. This quarter, Big Foot Moving & Storage, Inc. of Arlington, MA will sponsor this event with proceeds benefiting “Our Place” a day care program run by the Salvation Army of Cambridge and Kid’s F.e.a.s.t., a free after school drop in program run by the Salvation Army of Waltham. Help support this great cause by joining Big Foot Moving & Storage on June 26th for the next Full Moon Margarita Madness and see what all the excitement is about! Special appearance by the Dark Knight during Kid’s Moon Madness, 4:00 pm – 7:00 pm. “Our Place” Child Care Program for Homeless Children: “Our Place”, is a licensed child care provider, offering free child care for children age 3 months to 7 years, whose families are living in local homeless shelters (including both family shelters and shelters for families victimized by domestic violence). Child care services are furnished from 8:30 AM to 3:15 PM. Children in the child care program participate in structured activities, and receive free snacks and lunch. Children in need of medical care may be seen at an on-site health clinic. Offered Monday – Thursday from 3:00 pm – 6:00 pm. For children in Grades 1-8. Kid’s F.E.A.S.T. is a free after-school drop-in program which seeks to address deficiencies in the support system of under-privileged children in a safe, structured, nurturing environment. It is a feeding program with numerous components: (Food, Education, Activities, Spiritual, Teaching), all of which strengthens their social skills. We offer different electives such as music, arts and age appropriate clubs. Attendance averages 50 children per day. Big Foot Moving & Storage, Inc., a full service moving and storage company based in metro Boston, recently took part in BioBall on March 27, 2010. BioBall is a basketball tournament involving 16 local biotech and pharmaceutical companies and 16 Special Olympics basketball teams. The participating companies organize basketballs teams that are paired with local Special Olympics teams to form an integrated team. The 16 combined teams are divided in to two divisions and compete in both individual and 5-5 competition. A championship game determines the winner of BioBall at the end of the day. The event is sponsored by all providers that support the local biotech community. All of the proceeds benefit Special Olympics Massachusetts. Teams included Archemix, Alnylam, CombinatoRx, Infinity, Genzyme, Momenta, Novartis, PAREXEL, Sepracor, and others. 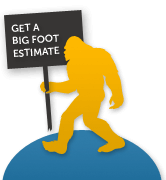 Big Foot donated its services to assist in the set-up and break-down of this dynamic event. “Big Foot has been actively involved in previous Special Olympics events and wouldn’t miss a chance to support such a great cause on the courts,” commented Mike Bavuso, President & CEO of Big Foot Moving & Storage, Inc.
Total Donations as of the end of March: $84,970 Since BioBall began 5 years ago, the event has raised over $310,000 for basketball programs and activities at Special Olympics Massachusetts! When Big Foot Moving & Storage, Inc. learned of the humanitarian efforts taking place at a familiar apartment complex in Cambridge, it was inevitable that they get involved. Residents and staff of Third Square Apartments, Church Corner Apartments, and West End Apartments collected 1.5 tons of donations ranging from clothing, toiletries, school and medical supplies, and other necessities to be sent to Haiti with a local nonprofit organization, What’s Mine is Yours, (www.haitimineisyours.org). Big Foot Moving & Storage, Inc. donated many boxes and packing supplies to organize and ship the incredible amount of donations. Casimir Deronette, a Haiti native and the Concierge Service Manager at Third Square Apartments, spearheaded the effort and traveled with 14 other volunteers from What’s Mine is Yours to Haiti on February 25, 2010 to help restore communities devastated by the earthquake. “As a moving & storage company, we are constantly in and out of local apartment complexes and we are fortunate to build relationships with the staff. When we heard of Casimir’s plan, we definitely wanted to do whatever we could to help,” commented Big Foot operations manager, Nick Bavuso. 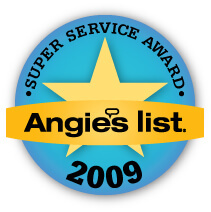 Big Foot Moving & Storage, Inc. has been awarded the prestigious 2009 Angie’s List Super Service Award! The Super Service Award, now celebrating its 11th year, is reserved for companies who have achieved and maintained a superior service rating on Angie’s List – the nation’s leading provider of consumer ratings on local service companies – throughout the past year. Fewer than 5 percent of the companies on Angie’s List meet the eligibility requirements to be considered for the award. Angie’s List Super Service Award winners have maintained a total and overall grade of “A;” have received a minimum number of reports; are NOT in the Angie’s List “Penalty Box” and do NOT have an unsatisfactory rating with the Better Business Bureau. Angie’s List is where thousands of consumers share their ratings and reviews on local contractors and companies in more than 500 different categories. Currently, more than 1 million consumers across the U.S. rely on Angie’s List to help them find the right contractor or company for the job they need done. Members have unlimited access to the list via Internet or phone; receive the award-winning Angie’s List magazine, which includes articles on home improvement and maintenance, consumer trends and scam alerts; and they can utilize the Angie’s List complaint resolution service. Get more information about Angie’s List at http://www.angieslist.com View the latest Angie’s List News Releases in our Press Center and read Angie’s blog at http://www.angiehicksblog.com. In these lean times, many businesses approach charitable contributions with caution. Others, like Big Foot Moving & Storage, Inc. of Arlington, MA use creativity to support local non-profit organizations. As an active member of the Metrowest Chamber of Commerce, Big Foot Moving & Storage, Inc. uncovered an opportunity to help several organizations that rely heavily on donations. Recently, the Kitchen Center of Framingham redesigned and expanded their showroom, donating many kitchen cabinets and countertops to local non-profits for silent auctions and fundraising activities. Mike Bavuso, President of Big Foot Moving & Storage, Inc., realized there was a need for the transport of these items and decided to get involved. Programs For People, Inc., a treatment and rehabilitation center for adults with mental illness in Framingham, Mass. The Learning Center for the Deaf, a day and resident school for the hearing impaired, headquartered in Framingham, Mass. Voices Against Violence, an agency in Framingham, Mass. that provides services to MetroWest victims of domestic violence or sexual assault. It has been said that moving a household is one of life’s most stressful events. Moving an office can be even more complicated. It requires a seamless transition so that the success of your business isn’t disrupted. Big Foot Moving & Storage, Inc. appreciates the magnitude and uniqueness of this type of relocation. There’s a lot to do for an office move; the earlier you start planning, the greater the chance you have of achieving the smooth move your company expects. We compiled a short list of preliminary tasks to assist you. A more detailed office relocation checklist is also available on our website. 1. Form a relocation team of employees. A project leader should be identified to spearhead the move. The project leader may distribute tasks so there is a point person(s) for each area of the move such as technology, vendors, employee communication, etc. Schedule regular meetings with this team of liaisons to review project status. 2. Create a budget. Define a budget in advance and have funds available for unexpected costs that may arise. In addition to standard expenses such as labor, will you need to purchase any special permits or documentation? 3. Identify a schedule. Start reviewing your options 9+ months prior to your lease expiration. If you are renting company space, will your move date coincide with the lease end date? If you wish to leave the space earlier, discuss your options with the landlord. Consider a buffer for packing and moving office furniture and equipment so as not to extend the lease. The most popular time to move is in the summer, which also makes it the most expensive. Additionally, although it may be necessary to move after normal business hours or over a weekend, this may incur extra fees. 4. Consider current processes and deadlines. How will you align these processes during the relocation? For example, how will you arrange deliveries? How will active projects be handled? In an effort to avoid any delays because documentation and/or equipment is inaccessible during the move, plan a short break period and communicate this to all staff and clients. 5. Hire a professional moving company. Working with the right office moving professionals is an important must-do for any company thinking of office relocation. A professional moving company will guide you through the process, save you money in the long run, and ensure you don’t make any critical mistakes during your move. Obtain several estimates to evaluate cost and action plan. Check the movers’ licensing, reputation, working history, and read reviews. Personal recommendations are the best means of finding the right moving company. Some of the most trusted feedback can be obtained from the property manager or real estate agent that may be assisting your business relocation. When is the Best Time for a Commercial Move? Timing plays an important role in a commercial relocation for several reasons, with budget and availability at the forefront. Considering most people move during the summer months, this is the busiest time of year for moving companies. May through September is considered peak season, during which time moving companies are booked far in advance and may command higher rates. Summer not only affects a moving company’s scheduling and resources. It may also impact your staff availability because employees generally take advantage of the summer months for vacation. Pricing and scheduling options may be favorable in the off-season. In the slower months, (September to April) many companies will offer reduced rates in order to stimulate business which is economical for your office move. Scheduling a move in the off-season also allows for more service date options and availability of additional resources or team members should the need arise. In addition to scheduling in the peak or off season, you should consider mid month and weekday timing specifically. If your company operates on a standard Monday through Friday basis it may seem logical to move on the weekend. This may limit downtime but it may also be more difficult to gain employee participation. Employees may be more likely to assist in the move during weekday hours so consider moving in the middle of the week. This tactic will also allow for more flexibility with the movers’ schedules. Furthermore, aiming for a mid month move may be beneficial as moving companies generally have more availability. If there is no way around a summer move, or even one in the beginning or end of the month, start planning as soon as possible so you may secure a reputable moving company for a seamless relocation. When preparing for a move, your computer is one of the most valuable things you will pack. Before moving your computer, however, there are several important preparations you should make to protect your data and equipment. The full-service moving and storage professionals at Big Foot Moving & Storage offer these tips for preparing your computer. Back up all files. This is the most important thing you can do before a move. You can choose to back up files in any number of ways. The method you use for backing up your files will largely depend on the amount of data you have stored on your computer. Choices include burning all of your files to CDs or DVDs, or transferring them to flash drives. An external hard drive can also be an ideal way to back up your data, particularly when there is a substantial amount. Big Foot Moving & Storage recommends that you do not store these back up files with the computer; rather pack them separately with any other system programs. Remove any disks. Check all drives for CDs and other inserted computer components. These should be removed to prevent them from being damaged during the packing process. Pack CDs in their original cases in well-padded boxes. Shut everything down. Many of us are in the bad habit of leaving our computers on all the time and just letting them fall asleep. When you are preparing to move your computer, however, it is necessary to perform a proper shutdown. Find the original packaging. The best way to pack your computer for a move is to put it back in its original box. 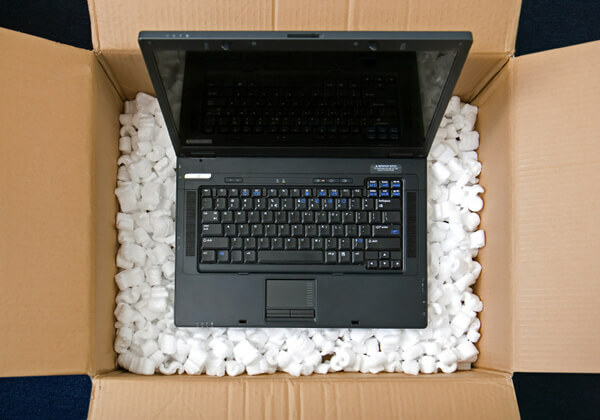 Computers come packed with all the appropriate cushioning and support they need to be safely packed, shipped, or moved. If you cannot locate the original packaging for your computer, make sure to pack it with adequate padding, such as foam core, packing peanuts, paper pads, etc… before sealing it up. Take care of separate components. When packing your computer, be careful of all the extra wires, printers, and other components that also need to come with you. Remove ink and paper from printers, unplug all wires, and pack associated computer components in their original boxes if possible. Big Foot Moving & Storage will provide large keyboard / parts bags to ensure all the miscellaneous items, wires, etc… will stay together for each workstation. Choose responsible movers. Your computer is one of your most valuable possessions. When it is time to move it, choose licensed and responsible moving and full-service storage experts, such as the team at Big Foot Moving & Storage, Inc. Experienced moving and storage professionals can help you to properly pack and protect your technology. It has been said that moving a household is one of life’s most stressful events. Moving an office can be even more complicated. It requires a seamless transition so that the success of your business isn’t disrupted. Big Foot Moving & Storage, Inc. appreciates the magnitude and uniqueness of this type of relocation. There’s a lot to do for an office move; the earlier you start planning, the greater the chance you have of achieving the smooth move your company expects. We compiled a short list of preliminary tasks to assist you. A more detailed checklistis also available on our website.